ehm… mind you tell me where I could get ardiono which allow me to use 38400 baud rate? 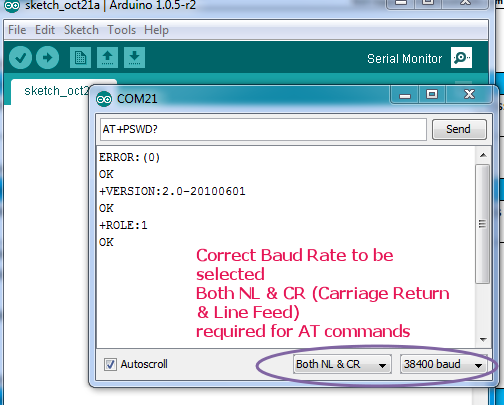 you know… my arduino couldn’t show 38400 baud rate at all. not only mine, my friends too. and we don’t know why this happened. 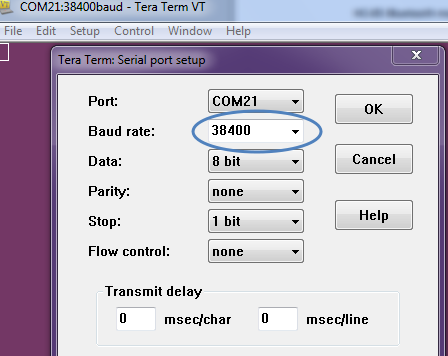 When i select 38400 baud in serial monitor the text in the monitor turns from “Enter AT commands:” to “x x0x0x0x0x0 x0 x0” please help me to correct whats wrong…. 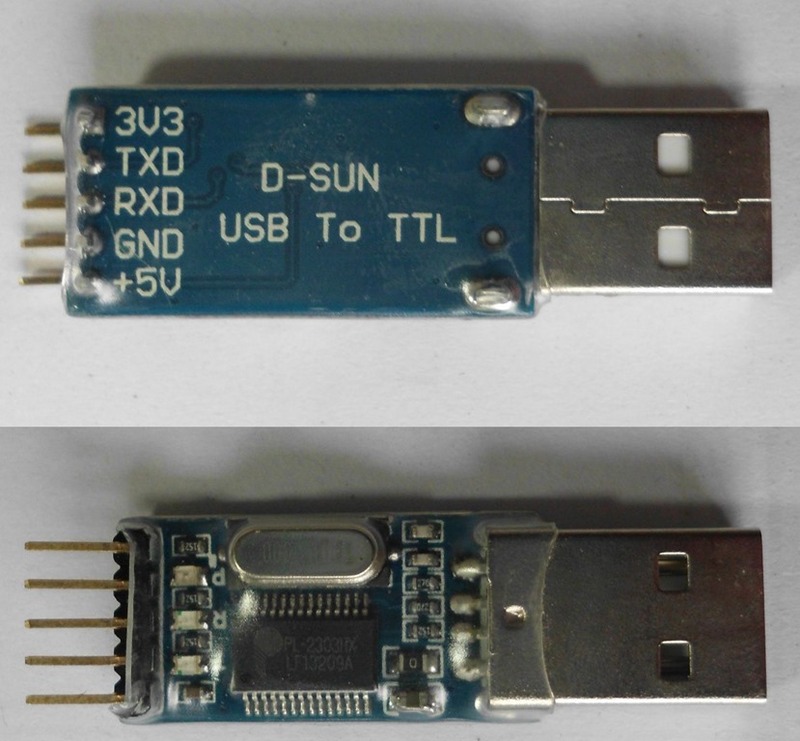 connect Key pin to 3.3v , the module enters AT mode(or sometimes may not enter AT) at different Baud Rate of 9600 & not 38400. Your articles are of great help. I started to play with HC-05. When I interrogated a module straight from ebay from China, with AT+UART? command, I got back +UART:9600,0,0 . How come it has “zero” stop bits? Should I change anything if actually I want 9600bps, 1 stop bit, no parity? What is the interpretation of Param2 and Param3 of this command? While I took up HC05 ,initially I was confused on this.But on verifying the AT command datasheet , it says default is 9600,0,0 .First parameter is Bits/sec . 2nd parameter is stop bit ( 0 represents 1 bit , 1 represents 2 bits ) , 3rd parameter is parity ( 0- none, 1 – odd , 2- even). For reasons known to them 2nd parameter 0 means 1 stop bit !!!! Many thanks for quick reply! Virtual Com ports are provided by ICs like cp2102, ch340 , prolific 2303.Out of these cp2102 seems to have no issues with WIN8. But others have some issues. The driver verification facility of WIN 8 has to be by passed.Now WIN8 will allow 3rd party driver installation. 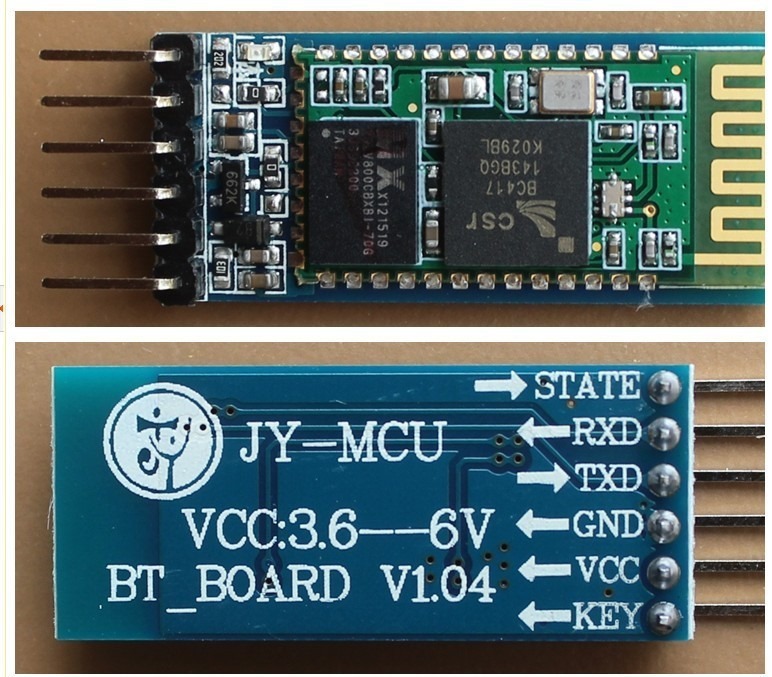 5-6 months ago I bought HC-05 – bluetooth to serial port module. I have problem to connect this device with my car android radio – I must remove device bluetooth paired code. Do you know what command I should send to bluetooth (for example with bluetooth terminal program) for remove paired code? 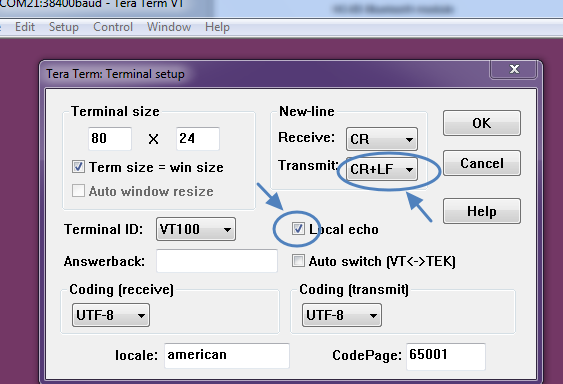 AT+ORGL restores the module to original factory settings..
GPS enable AT commands should bring you the NMEA sentences. AT+CGPSINF=0 returns a single NMEA sentence. is it possible to get connected device id or address using HC-05? I connected HC-05 to Arduino Uno and I was able to pair my android to it. I wish to make my android keep checking if my phone is there and open a relay switch. 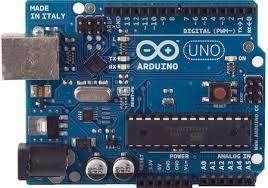 If I go away (and take my phone) the arduino see there is no phone and cut the relay. Now I do not get connection in STATE pin only if i use an BT app to connect to HC-05. Can I get this without an app on android? Hi sir i saw your video, and its very useful to my project.